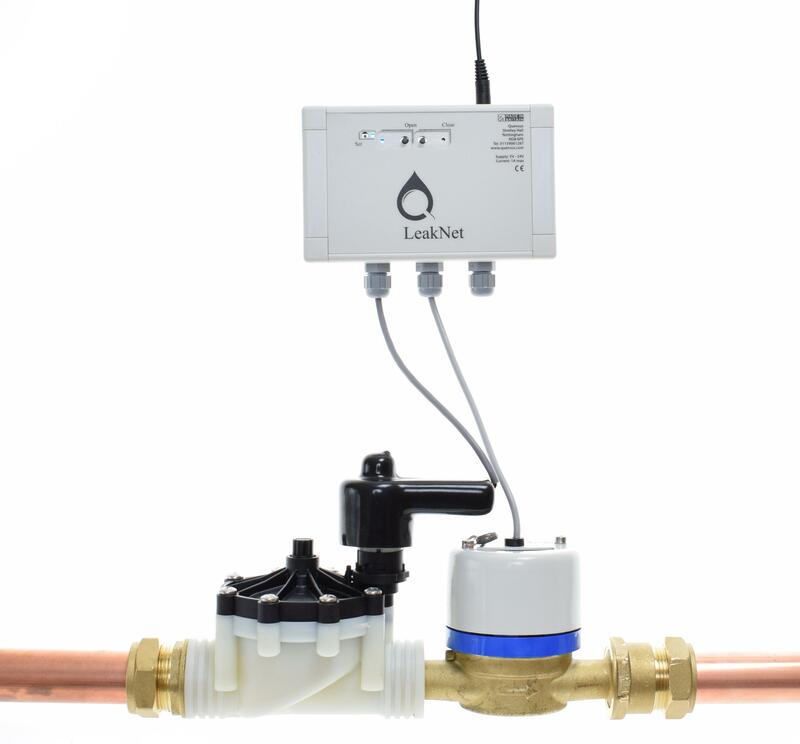 LeakNet is a smart metering device which can monitor and control your water remotely, without being on site, giving you the freedom to deal with more important things. The data is stored and viewed in the FlowReporter app which displays gorgeous graphs and leakage reports. FlowReporter's advanced analytics constantly monitor this data to gain insight and will immediately alert you of any major leaks. It will even shut the water off to prevent water damage. 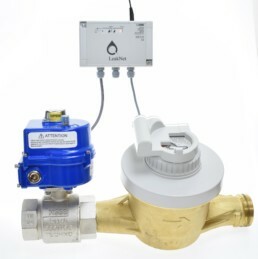 Sensors and meters are used to collect data on water flow. 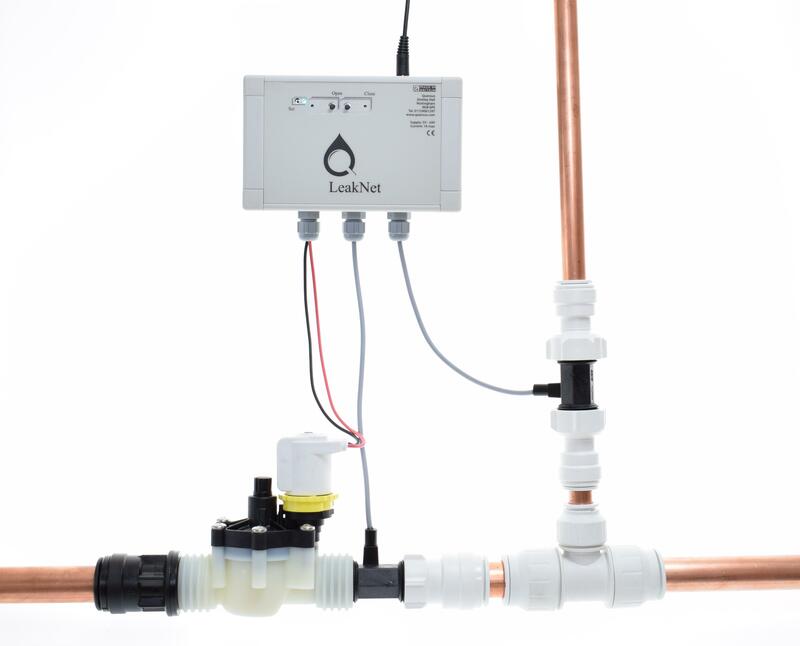 Only 1 water meter is needed to monitor the whole supply but up to 4 can be connected to Leaknet. 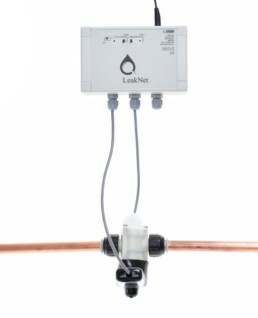 By connecting an electric shutoff valve, Leaknet is then capable of turning off the supply and preventing water damages. Real-time communication is used over the web via WiFi or 3G to gather data from sensors automatically and continuously. Two way communication means the flow of water can be controlled using an electric shutoff valve, either remotely by the user or automatically if a leak is detected. Real-time data analytics are used to detect anomalies and diagnose faults. Water disaggregation techniques are used to give the user more detailed information on usage. Dynamic web dashboards are used to allow users to monitor their water usage in real time. 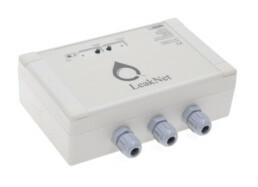 Email/SMS/mobile notifications allow the user to be notified when leaks occur.